What Flowers to Choose to Create a Wedding Composition? The creation of a wedding composition of flowers to decorate this solemn event depends on such factors as the time of year, the style of dresses and the aesthetic taste of the married. Due to the breadth of the choice of the flower assortment on the market, it is sometimes difficult to decide which flowers to choose for creating a wedding composition. 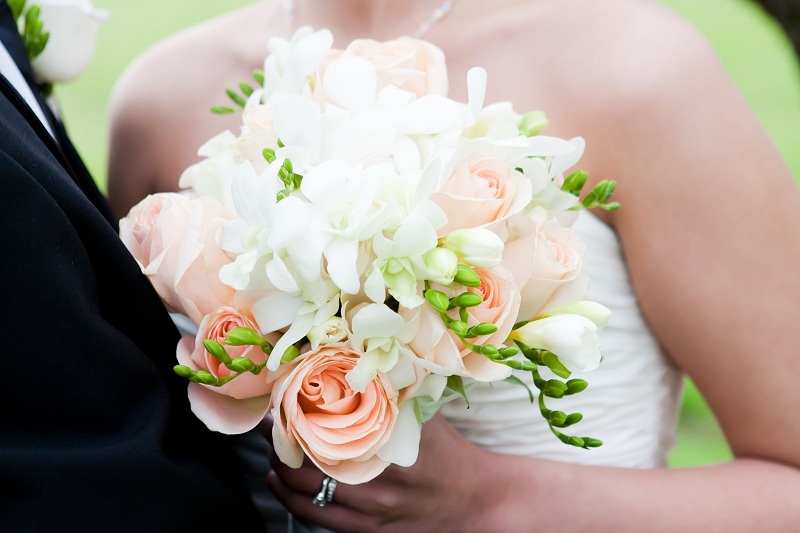 Consider the most popular flowers that are used in wedding floristic. Roses, undoubtedly, are in the lead among the flowers used in wedding bouquets. They have long symbolized love and beauty. Roses have the property to fit perfectly into any style, and to approach different compositions. By itself, a bouquet of fresh roses looks delicious. They are in harmony with elegant wedding dresses and do not lose their freshness for a long time. Another plus of these colors is a wide color palette. These flowers are still considered spring, although today they can be bought at any time of the year. Tulips symbolize tenderness, love. Variety of varieties and a rich color palette of tulips make it possible to realize any creative idea and achieve the desired result. Using these colors in the wedding composition will make the bouquet look fresh throughout the celebration. When you create a composition, you use bright colors and a contrast effect. Check This Out: What Flowers Decorate The Temple? The lushness, tenderness, and stylishness of these colors made them popular at wedding celebrations. They look great both in a separate bouquet and in combination with other colors of the composition. Peon season is the end of spring and the beginning of the summer period. Although you can buy them at other times of the year if you want. These flowers are used in compositions of weddings arranged in European style. 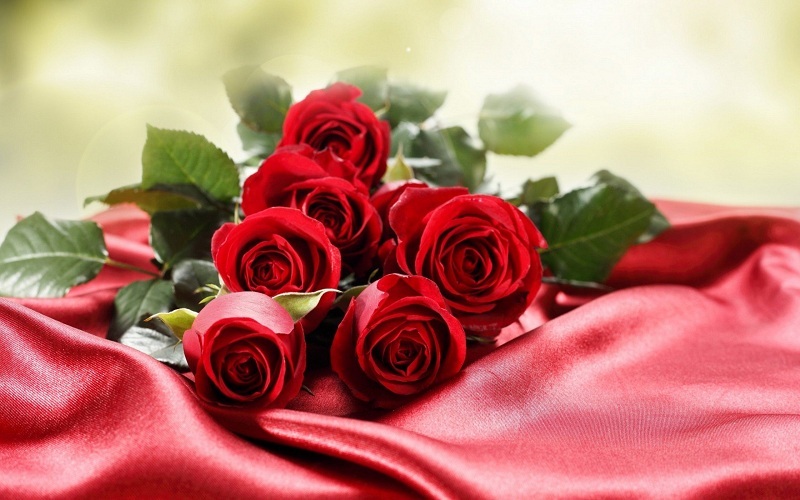 Tenderness, chic, delicacy of pin-shaped roses made in Europe these flowers the leaders of wedding floristics. Due to the fragrance and sophisticated figure, many fans have found fans around the world. Despite the exotic nature, today there is an opportunity to purchase orchids in any flower kiosk. Flowers have a unique charm and elegant appearance. 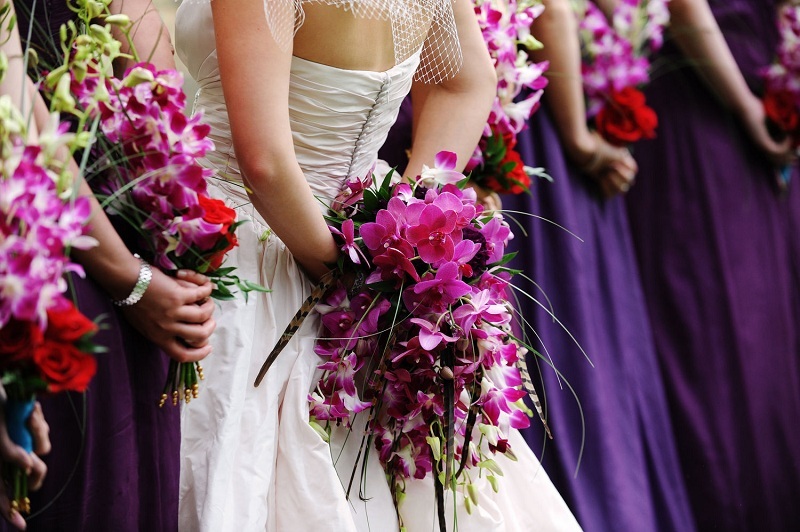 With a certain skill of the florist, the composition will delight guests and add to the image of the bride romantic. These flowers are also called lisianthus or eustoma. They really look like miniature roses. They have such qualities as organic and tenderness. Plants are very fastidious to temperature changes, so it is not recommended to use them in winter. Callas symbolize luxury, prosperity, wealth. They are used at wedding celebrations, arranged in a classical style. Thanks to the large flowers of calls, shaped like a bowl, the composition is filled with tenderness and expressiveness. 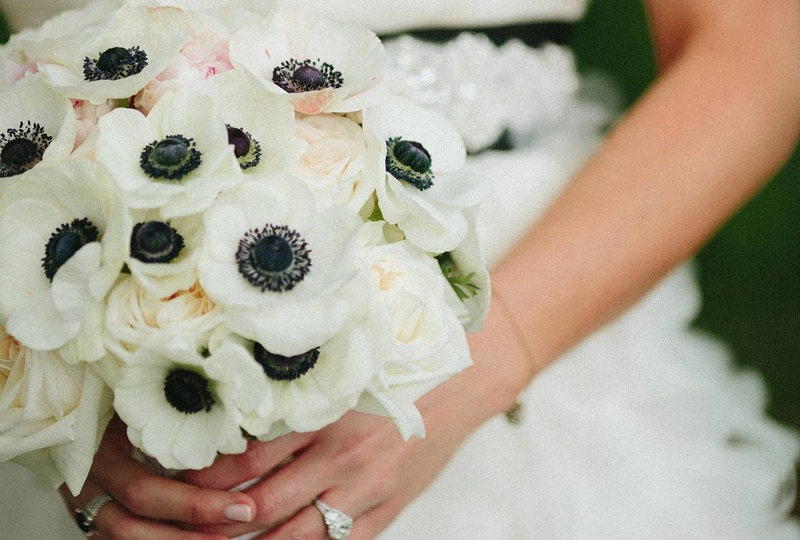 The vulnerability, tenderness, elegance of the anemone create the same romantic image for the bride. A contrast and style make the composition refined and delicious. The aroma of freesias, which is inherent in tenderness, elegance, will be a perfect addition to a complex wedding composition or a bouquet of the bride. These plants are quite popular due to their good compatibility with other plants in wedding compositions. They give the bouquet airiness and volume. Plants are capricious to a temperature regime, therefore at a strong heat or a cold to use them do not recommend. In addition to these plants, gerberas, alstroemerias, carnations, lilies, chamomiles, etc. are used in wedding compositions. With the right approach, a beautiful wedding composition can be created by any combination of representatives of the flora. Used in wedding bouquets are also various decor elements. 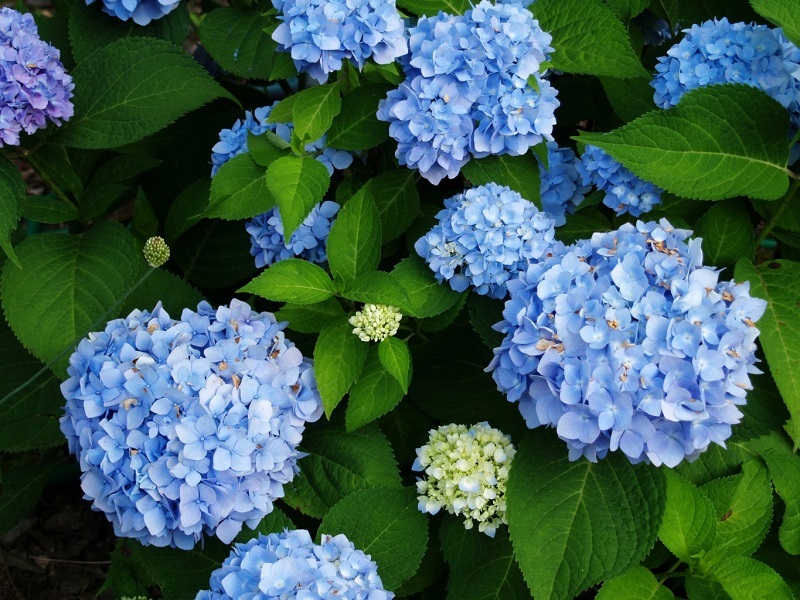 Hydrangeas are undoubtedly one of the most beautiful flowering shrubs. Easy to grow and easy maintenance, flowering hydrangeas will amaze us all summer with its beautiful flowers ranging from pink to blue.